This is the cutest felt project I’ve done so far! I love how simple it is and can be used as party favors for a birthday, any occasion party, or wedding. Supplies: Glue, Scissors, Pipe Cleaner (same color as felt), Felt, Fortune Cookie Love Messages here, and 3 inch circle template here. First trace out the 3 inch circle template onto your felt and cut out. Measure the pipe cleaner and cut a little bit smaller than the diameter. 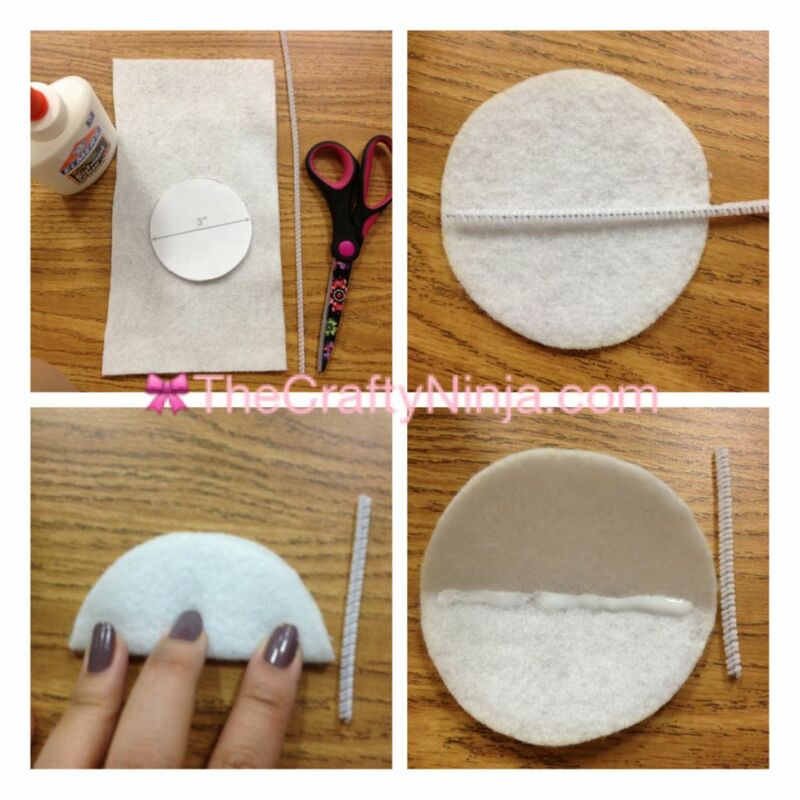 Fold the circle in half to find the middle and glue down the pipe cleaner. You will have to wait until the pipe cleaner completely dries before moving on. Once dried fold the felt circle in half. Using your thumb push upwards in the center of the circle. This will create the fortune cookie shape. 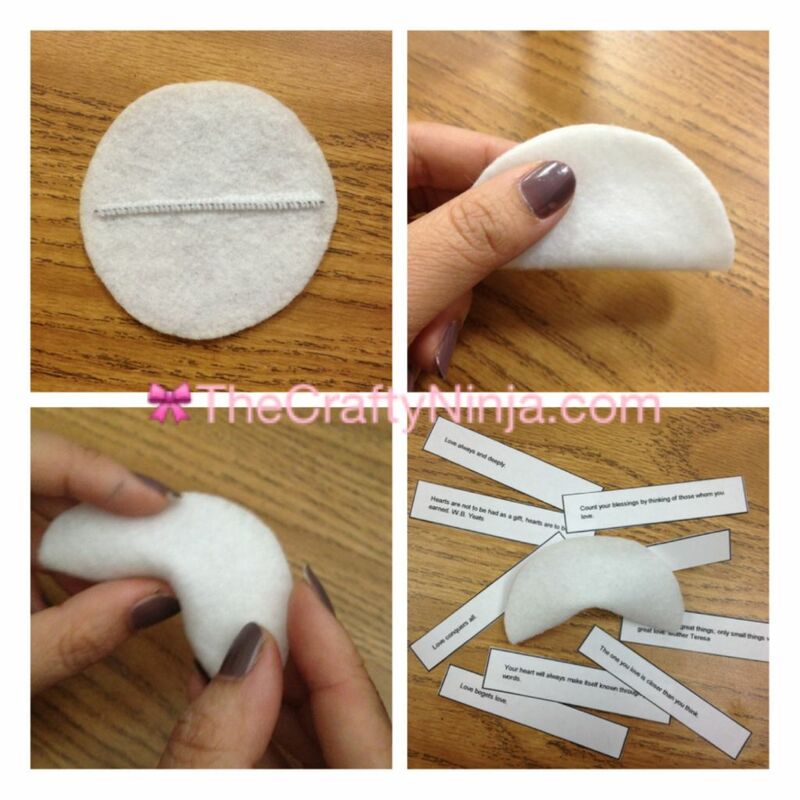 Cut out the fortune cookie love messages and slide them in. So fun and easy, hope you enjoyed this tutorial!